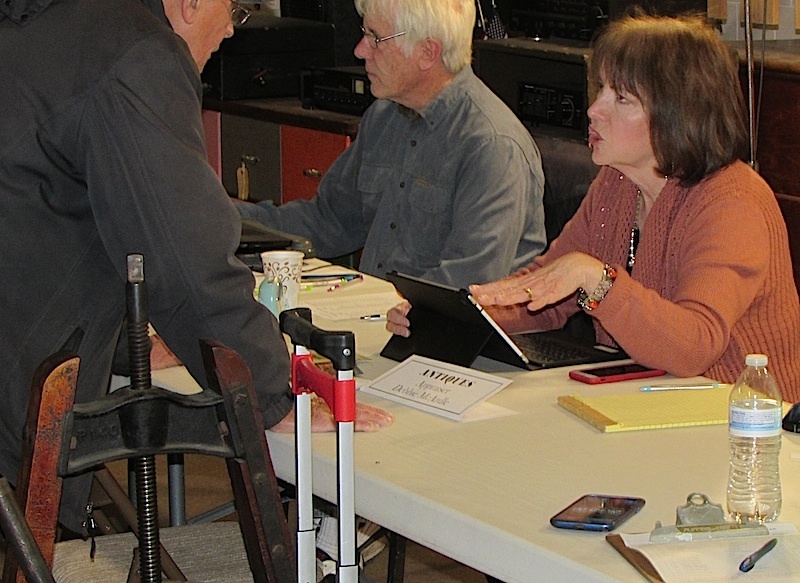 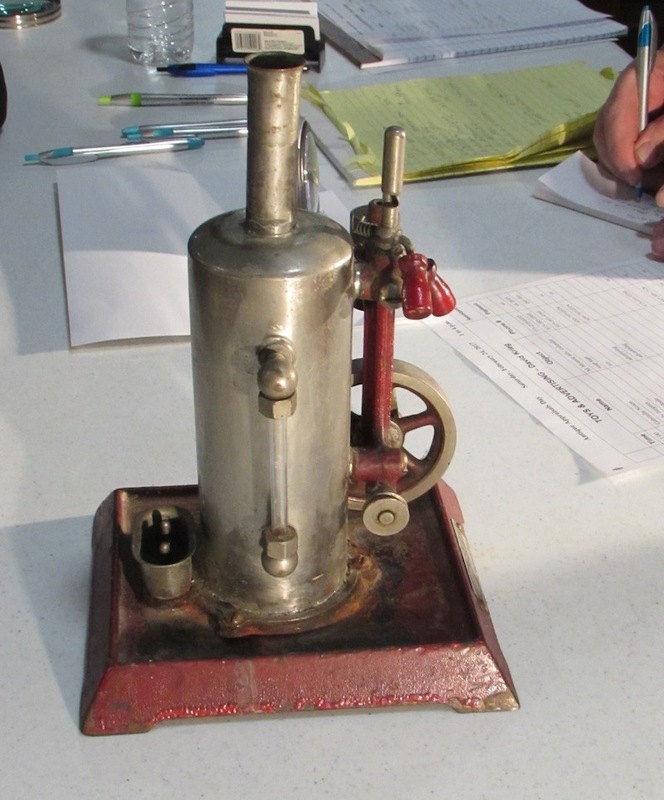 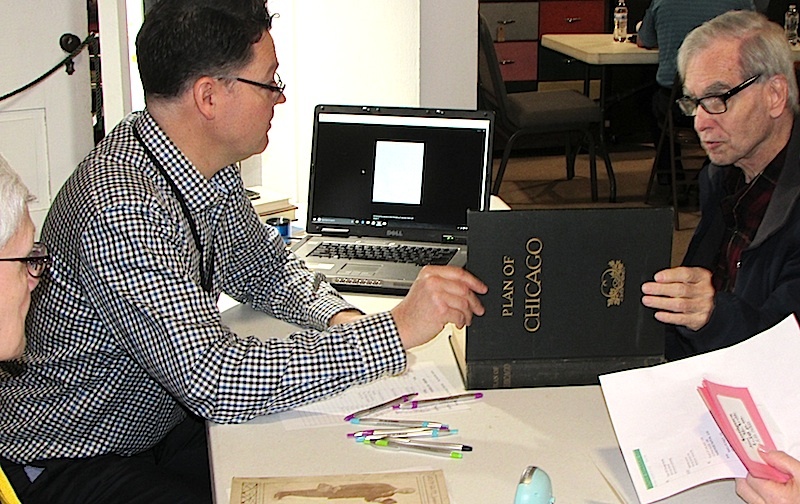 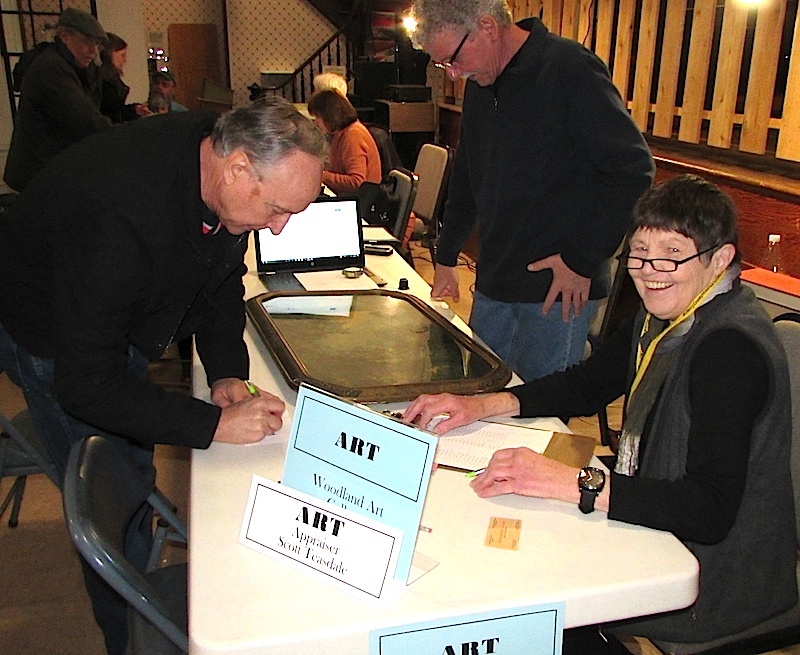 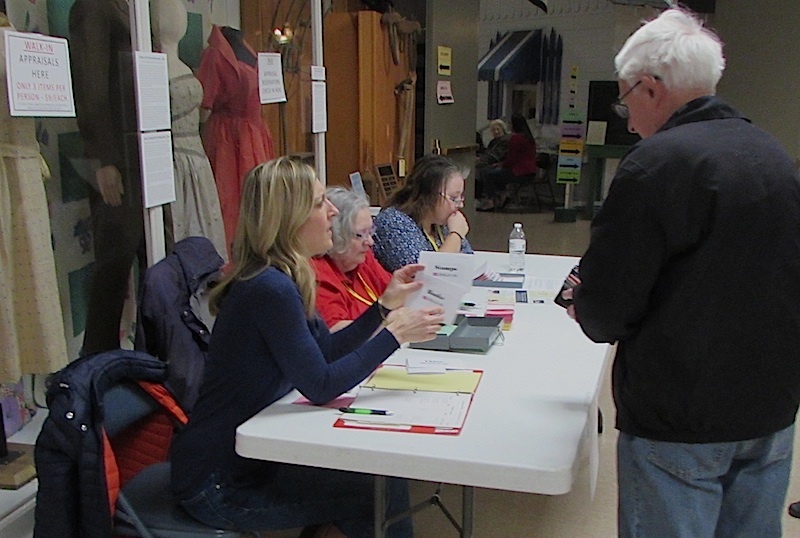 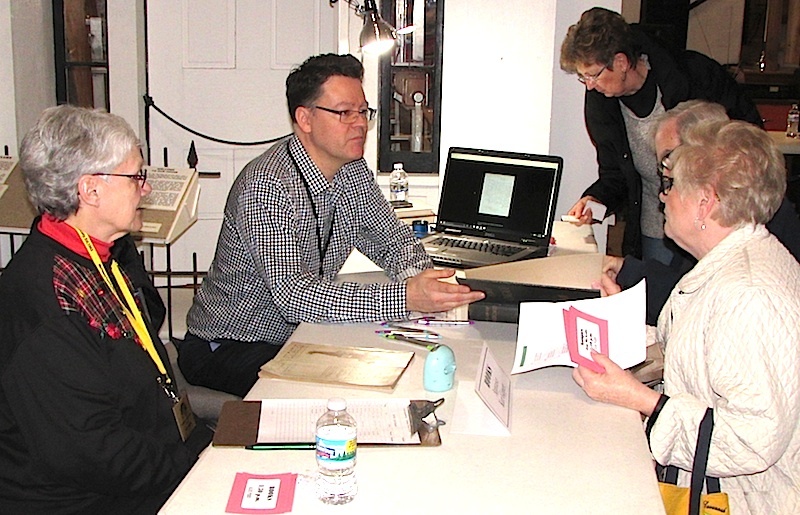 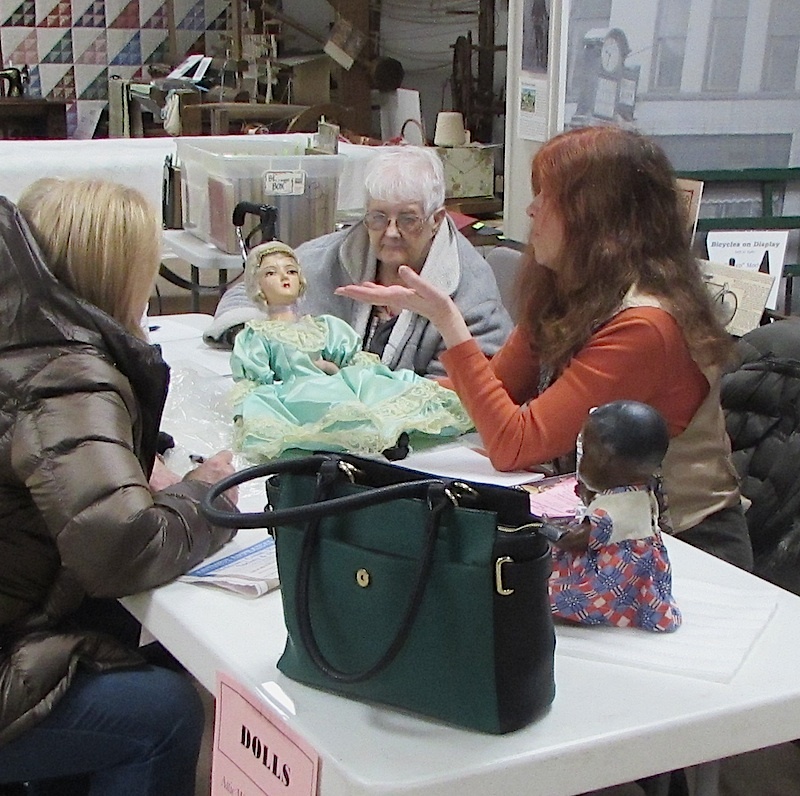 The McHenry County Historical Society & Museum hosted sixth annual Antique Appraisal Day from 1 to 4 p.m. Saturday, Feb. 24, at the museum, 6422 Main St., Union. 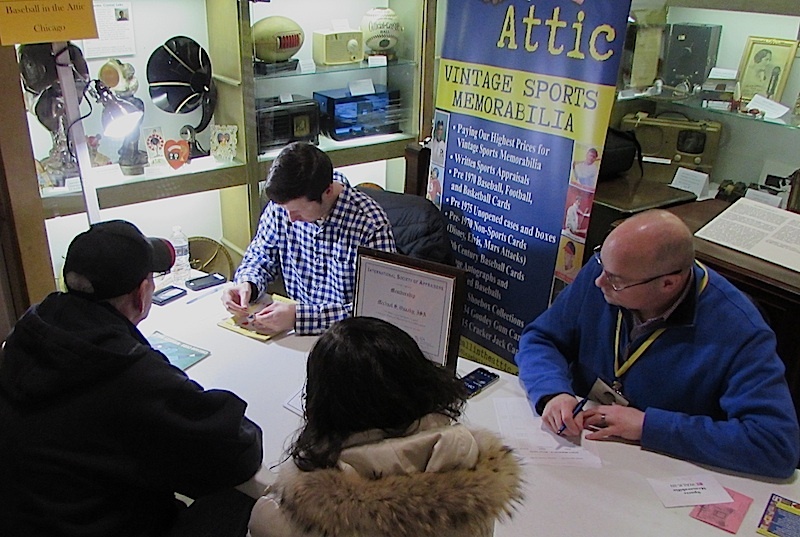 Items included a piece of Teco pottery, several incredibly rare books, an extraordinary stemp collection and fragile flag. 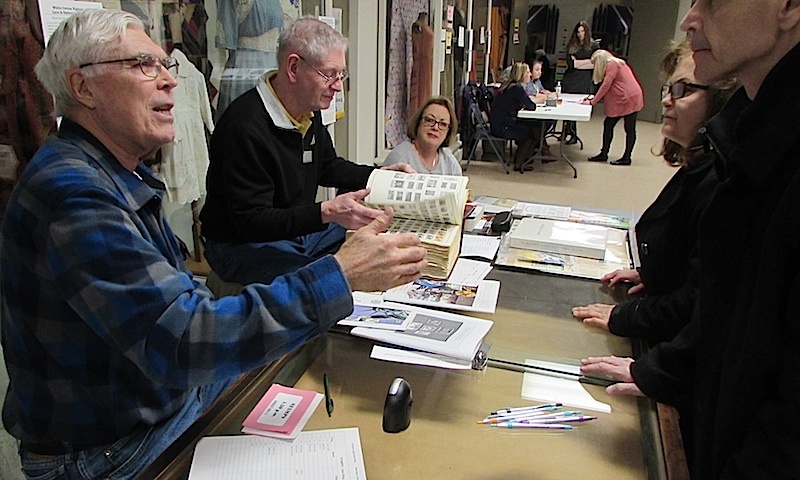 Appraiser Jim McArdle of Iron Horse Antiques estimated that this linen centennial flag owned by Mark and Sue Richmond of Algonquin is worth an estimated $1,000. 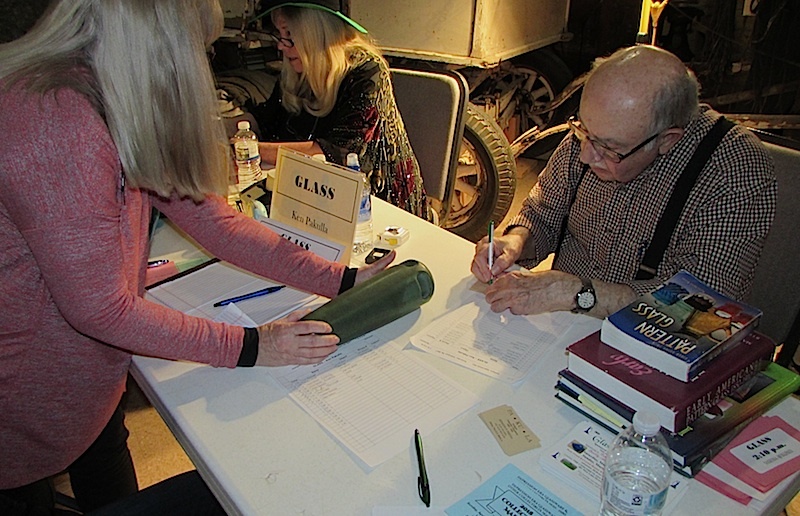 The fragile flag is eight feet long and has 13 hand-sewn stars.